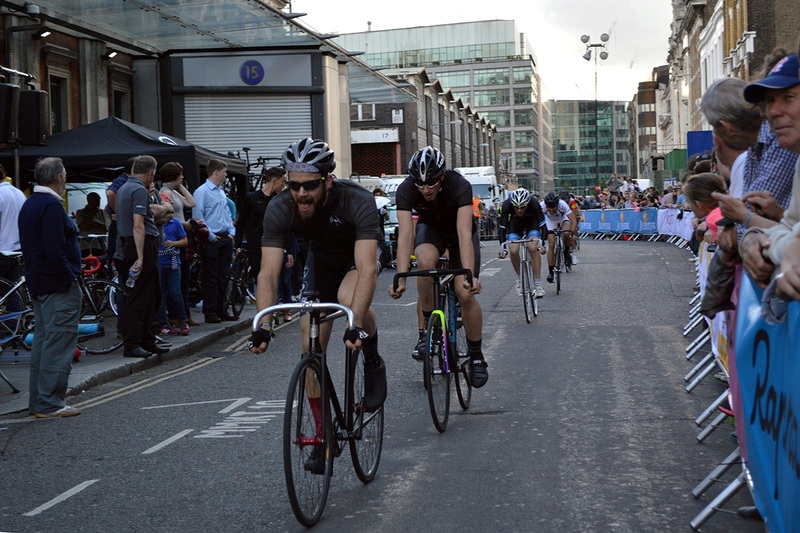 This weekend the streets of Smithfield Market filled with people for the 2014 London Nocturne. It was a gorgeous day with only a few clouds floating around and zero chance of rain. 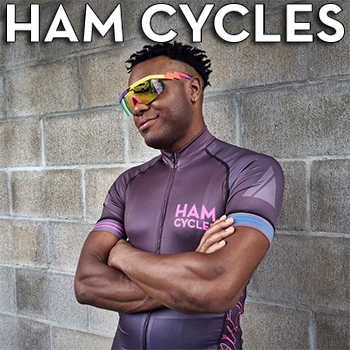 We got a late start (per usual) and rushed across town to catch the Condor Track Bike Criterium. 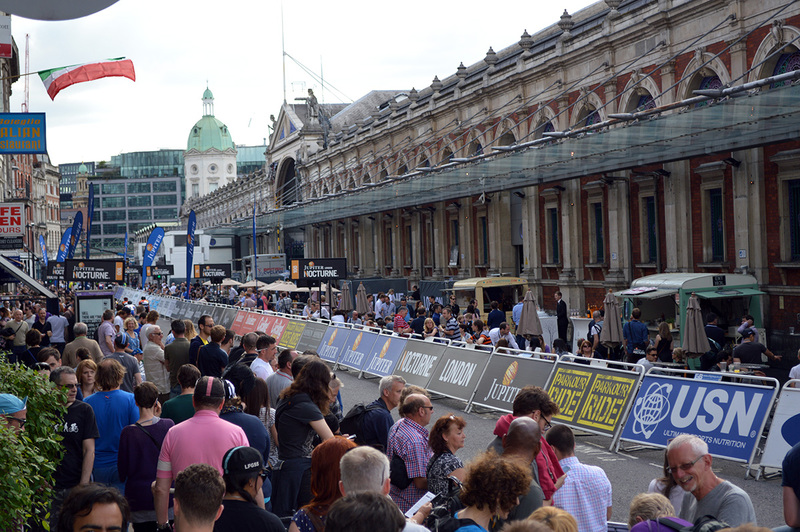 When we arrived the racers were already lined up at the start/finish line and the streets were already packed with anxious spectators. I quickly ran to the first straight to find a good spot to shoot some photos and Zoe found a good spot to lock the bikes. A half hour goes by and the race hadn’t started. 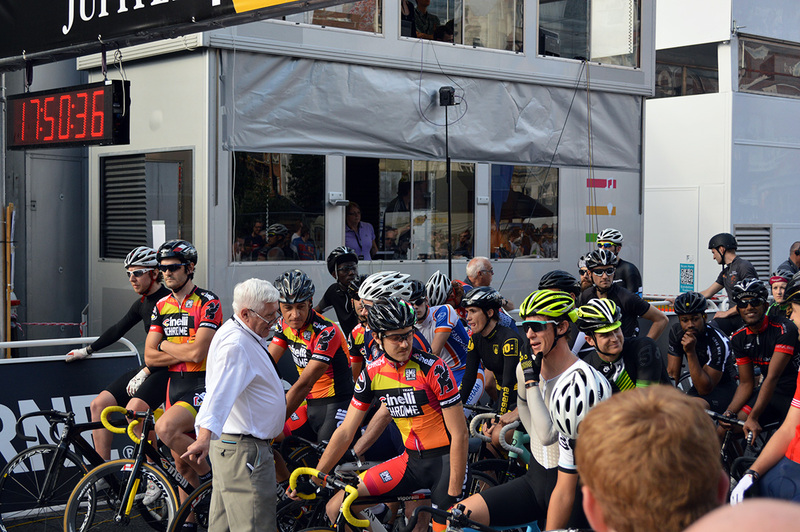 The riders at the starting line were getting antsy and a lot of them starting taking selfies for their Instagrams. After standing there for a full hour with no water and cold legs the race finally begun. One quick warm up lap and the racers lined back up for the start. Out of the gate the pace was seriously fast. 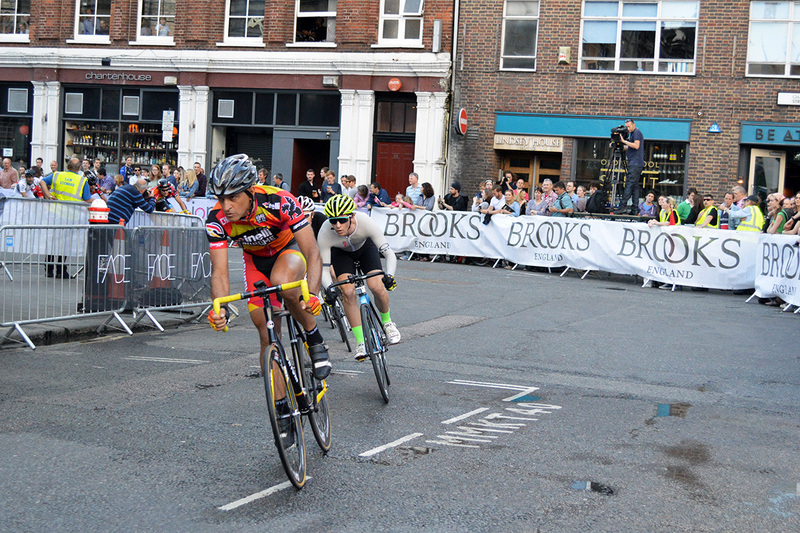 A lot of riders got dropped before the end of the first lap. 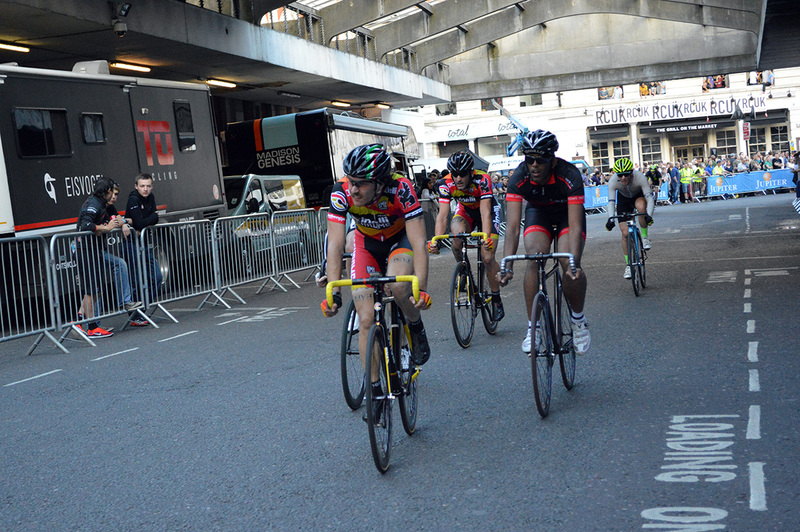 Team Cinelli Chrome stayed at the front setting the pace for the entire field. After ten minutes at a very fast pace the field was split into groups. Some riders struggling to stay on the lead lap and some simply giving up. With only three laps left to go the pace quickened and the everyone had on their pain face. 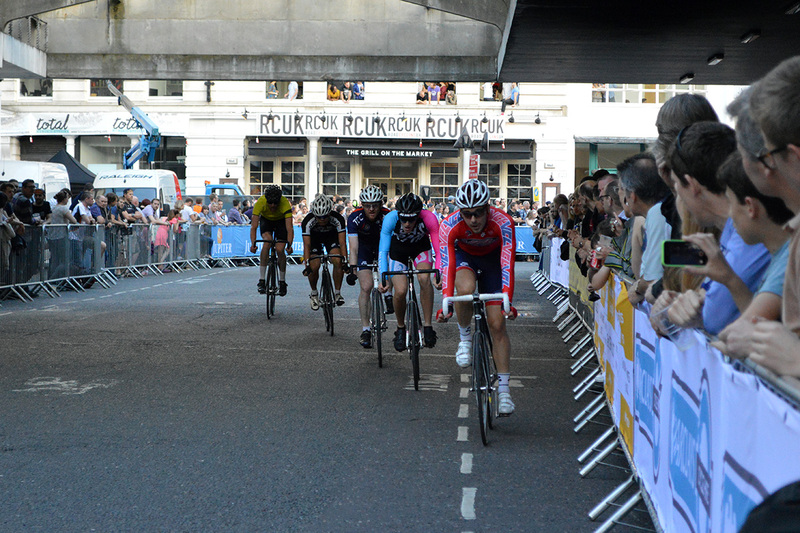 In the end, after a very impressive ride, Paolo Bravini of Team Cinelli Chrome took the win. All around it was a great event. Lots of fast riding and fun times with friends.